As a songwriter and/or music publisher, one of the most important decisions you will need to make at the beginning of your career will be which Performing Rights Organization (PRO) you affiliate with. Why? Because one of the main reasons that rightsholders miss out on collecting a large chunk of performance royalties earned from their compositions is due to not having joined a PRO in advance or not having registered their songs properly with their PRO. Additionally, the four PROs that currently exist in the United States have varied organizational structures, notably different payment formulas, owners, contracts, and philosophies, and the amounts of money each collect tend to be substantially different. Putting in the time and effort to know and understand the basics of how to differentiate each PRO will prove itself to be well worth every second, once you find your best fit and notice the performance royalties starting to trickle in. 1. Public performance royalties are among the largest sources of royalty income available to songwriters and music publishers. 2. PROs ensure that rightsholders are paid their fair share of public performance royalties, by issuing licenses to different companies and establishments and tracking where and how often the songs of their affiliates are performed at these public venues. 3. Public venues include: radio and television stations, including cable networks; websites; concert halls; restaurants; nightclubs; online music services; and feature films, including theme songs, advertising jingles, etc. Note: not covered under the “public venues” umbrella are “dramatic” uses of songs, as in songs performed in stage plays. Those licenses and royalties are negotiated on an individual basis. 4. A songwriter can only belong to one PRO at a time. 5. Music publishers are also restricted to belonging to one PRO at a time, though it is common for publishing companies to create additional entities within their structures, each affiliated with one of the four PROs, so that every PRO is accounted for. In 1914, ASCAP was the first non-profit PRO to be established in the US. With over 650,000 affiliates, it has maintained its promise to deliver high-quality service over the years and has continued to cultivate a supportive environment, providing a wide-range of benefits and organizing yearly expos, workshops, and showcases. According to its website, ASCAP is “the only PRO in the US owned and governed by [its] members,” as its board of directors is even comprised of its own songwriters and music publishers. To join, you must either show proof of a commercial recording, its sheet music, or any evidence that the song is currently in an ASCAP-licensed medium (e.g. the radio, a public venue, etc.). Contracts with ASCAP are year-to-year, for both songwriters and music publishers, and payments are disbursed, via mail, 5 ½ months after the end of each quarter. Note that affiliates can opt to be paid in one of two ways: by a “current performance basis” which provides 100% of the royalties made during the quarter, after standard non-profit deductions are made, or by the “average performance plan” which provides 80% of the royalties made during the quarter, including 20% from the previous quarter. The latter option is more consistent and predictable, as it offers a steadier income for consistently working songwriters. In 1939, BMI joined the industry as the second non-profit PRO in the US, with the intent to “represent songwriters in emerging genres, like jazz, blues, and country,” as stated on its website. Amassing more than 800,000 affiliates, over the years, BMI is now the “largest music rights organization in the US” and continues to nurture new talent and new music, as well as organize a variety of workshops and festival engagements for its affiliates, under the guidance of an executive team consisting of experts from many major areas of the music and business industries. Contracts with BMI run for a course of two years, for songwriters, and five years, for music publishers. Payments are disbursed, via mail, 6 ½ months after the end of each quarter. Occasionally, the rates of payment are increased in certain circumstances such as in radio or in television. For example, in radio, station logs are checked to determine the “current activity” of a song. If that song surpasses 95,000 plays, it is considered a “hit,” and its rightsholders are therefore provided a “hit song bonus” by BMI. Similarly, if a song is played more than a certain number of times, its rightsholders are provided a “standard bonus”. In television, bonuses are provided if a song is used as a feature, theme, or underscore. Together, ASCAP and BMI comprise about 96% of the market. In 1931, SESAC was established as the first for-profit PRO in the US and is currently the most “innovative,” according to its website. While it is understood that SESAC is “the first and only performing rights organization to pay royalties on a monthly rather than quarterly basis,” it is not as simple to become an affiliate of SESAC, as it is “invite-only”. Due to its selective method of operation, SESAC’s affiliates add up to a little more than 30,000, ensuring more personalized support, whenever necessary. As a point of reference, contracts with SESAC typically run for a course of three years, with the option to renew automatically for three more years. SESAC, alone, occupies roughly 4% of the market. Most recently, industry veteran Irving Azoff founded GMR in 2013, making it the first US PRO in nearly 75 years. Also for-profit and invite-only, GMR attests to being an “alternative to the traditional performance rights model” on its website. So, which should you affiliate with? The question really comes down to which model you prefer overall and possibly which artists and songs of theirs you best associate with. Factors to especially consider are the payment methods, the lengths of the contracts, and each PRO’s relationships with foreign PROs, if that is a market you intend on entering or have already entered into. Most likely, as an incoming affiliate to either PRO, your initial two options will be ASCAP and BMI. Once you become more established as a songwriter, you may have the opportunity to consider the latter two, SESAC and GMR, after potentially receiving an invite. Taking all considerations into account, ASCAP generally seems to have the more appealing structure, while BMI’s appeal extends from its tendency to pay higher amounts for certain song usages, under certain circumstances. However, such circumstances are difficult to pinpoint concretely, as BMI’s payment schedule does tend to change, every now and again. All in all, find comfort in knowing that there is no going wrong with this decision, as long as you make one. Once you do pick a route, however, be sure that all the info you are inputting into the system is accurate, paying special attention to spelling and ownership splits. TuneRegistry is an all-in-one music rights and metadata management platform for the independent music community. Easily organize and store your song details, recording metadata, credits and ownership splits, and release information in your TuneRegistry account. It’s your robust music catalog manager that’s accessible online, so you don’t have to worry about tracking down emails, sorting through documents in various desktop and cloud folders, losing collaborator contact information, or any of the other messy issues that most indie artists face. The advantage of TuneRegistry over other catalog management systems is that we’ve integrated the registrations process directly to ASCAP, BMI, SESAC, Music Reports, SoundExchange, and many more. Save time, reduce errors, and unlock royalties with our integrated registrations module. We make it super easy to get your music registrations to organizations and data services who need it. 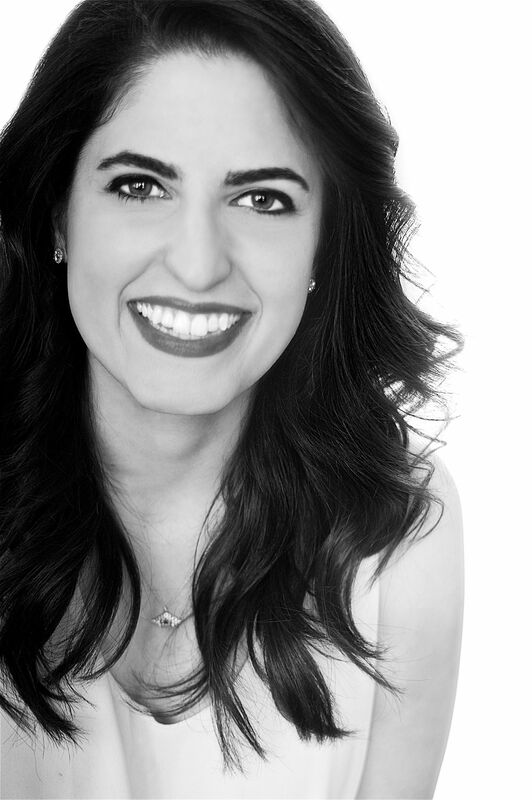 Julie Pajuheshfar is a fellow musician and graduate of the two-year SCALE program at Southwestern Law School, with a Bachelor of Arts in Music and a focus on Business Administration from Chapman University. She is currently working in legal research and development at DaBet Music Services, primarily focusing on record royalties and distribution and rights education. She has also joined the team at Coreum Inc., helping to create an autonomous and efficient music ecosystem for all.